Originally it had a de Dion-Bouton benzine engine. 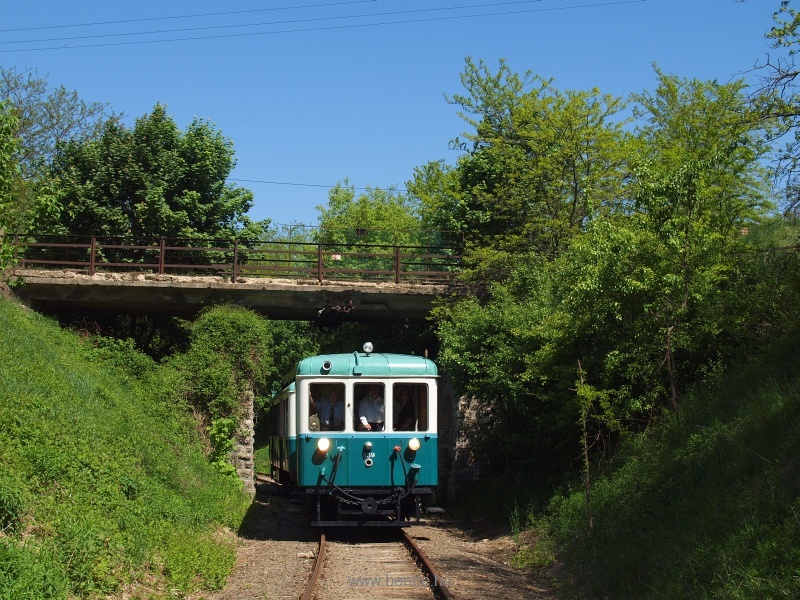 The company was famous for its steam engine railcars, and they also sold steam engines to the Alföldi Első Gazdasági Vasút, operated by the ACSEV to build narrow-gauge railcars and even dual engine A1A steam locomotives. The railcar and its trailers were built by Weitzer, at Arad (then Hungary), and lived with a diesel engine for most of their lives.